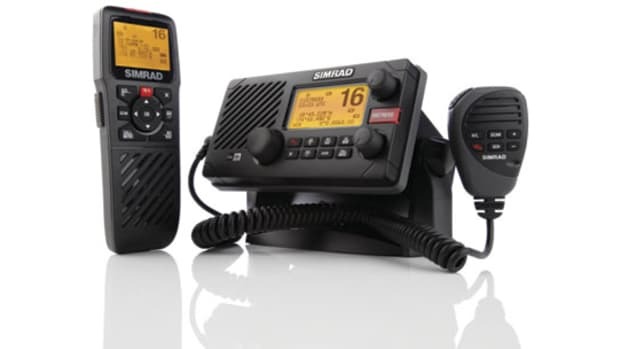 Cruisers who enjoy spending time away from crowded harbors and anchorages need a radio that will keep them in touch with friends and receive information from many different sources. While nearly all boats carry a VHF, its maximum range isn&apos;t more than about 25 miles. This is because VHF radio waves travel in a straight line or line of sight. In contrast, waves from marine single-sideband (SSB) radios travel up to the F layer of the ionosphere, 75 to about 250 miles above the Earth. Highly charged particles and gases there reflect the waves back to the Earth&apos;s surface (a process called sky-wave propagation) hundreds and even thousands of miles from their source. The key to getting maximum performance from an SSB is choosing the right frequency. The best frequency to use depends on the time of day and the distance to the receiving station. 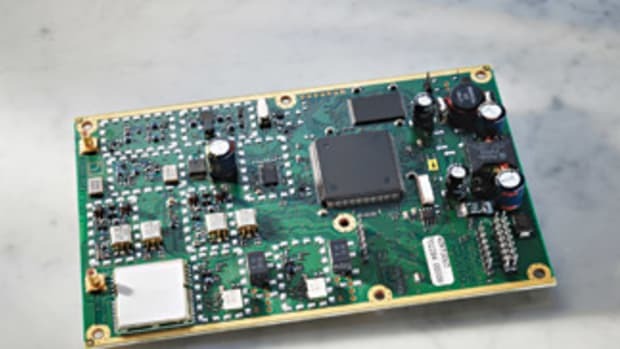 For example, 2-MHz frequencies are for short-distance conversations, 25 to 250 miles; 4 to 6 MHz are intermediate frequencies for about 250 to 750 miles; and 8- to 25-MHz frequencies are long-distance, for about 750 to 7,000 miles. If you&apos;re confused about which one to select, propagation charts and software programs can help. A general rule of thumb is to select lower frequencies when the sun is low and higher frequencies when the sun is high. 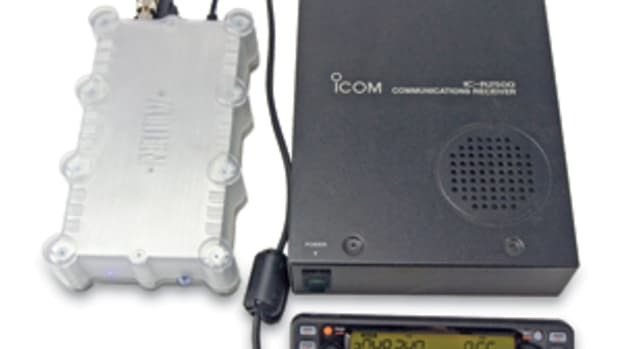 Installation of an SSB radio is more involved than that for a VHF. The unit must have a long antenna, like a 23-foot whip, to radiate properly, a tuner that can match the antenna to the desired frequencies, and a "groundplane," which reflects the radio waves generated by the antenna up to the ionosphere. 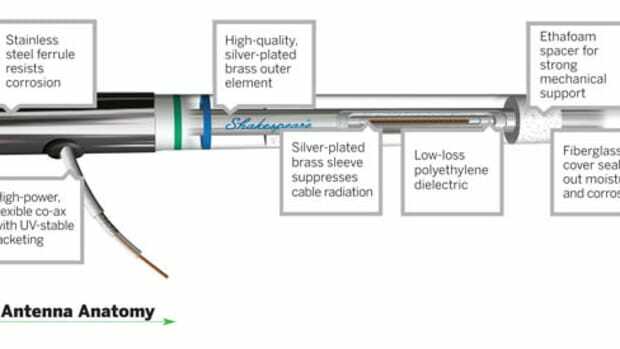 The groundplane is attached to the back of the antenna tuner with a copper strap; most experts recommend 100 square feet of metal surface area. 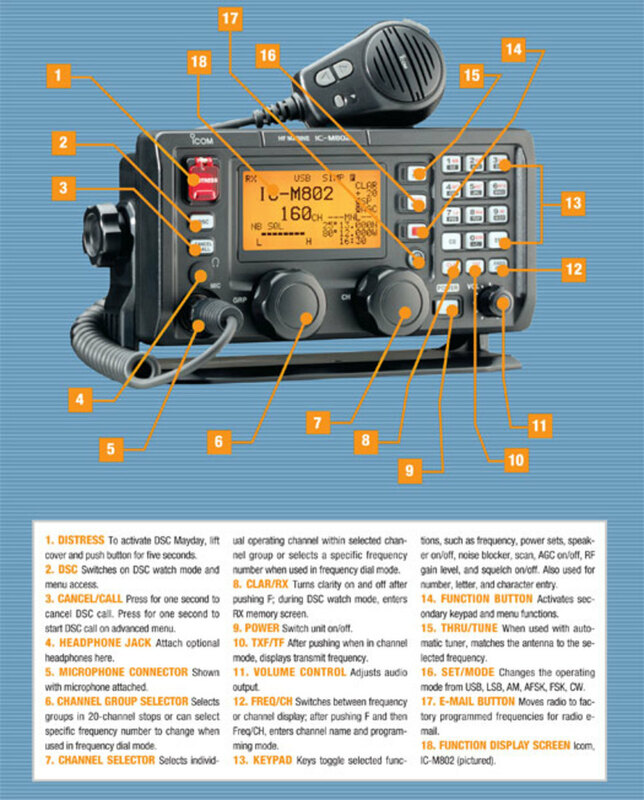 You can make general distress, urgency, and safety calls and communicate ship-to-ship on an SSB radio just as you can on a VHF. On a recreational vessel simply use your boat&apos;s name for identification. If you call another boat on a cruiser net (see next section), make contact on the net frequency first, then shift to a vacant working frequency for the follow-up chat. Obviously, if you can hear the other boat on the net frequency (say, 4 MHz), you should choose a working frequency on the 4-MHz band to continue your conversation. If you can&apos;t hear the party at all, it&apos;s probably a good idea to try a longer-distance frequency, such as 8 MHz, or try again later, perhaps at a predetermined time. A net occurs when SSB operators gather on a particular frequency at a specific time to share information and just converse. Nets typically provide essential data on such diverse topics as diesel repair, medical care, hazards to navigation, computers, and, of course, weather. SSB weather-routing nets run by experts such as Herb Hilgenberg, Chris Parker, and Don Anderson are sources of a wealth of weather-forecasting and route-planning advice. In and around the coastal waters of the United States and Canada, weather forecasts are transmitted continuously on VHF; many foreign countries such as Cuba, Mexico, and the Bahamas do not provide such forecasts. If you find yourself in these areas, you&apos;ll need to access the Offshore and High Seas weather forecasts that are broadcast on regular schedules over SSB. These voice forecasts cover large oceanic areas delineated by latitude and longitude, and getting used to this presentation takes a little practice. As an alternative, marine SSB weatherfax provides graphic forecasts that include surface and upper-level analysis charts and satellite imagery. NAVTEX are text transmissions that report hazards to navigation, weather forecasts, and urgent marine-safety information. Both weatherfax and NAVTEX are broadcast on specific marine SSB frequencies at specific times; both are available worldwide. The Coast Guard also transmits weatherfax and NAVTEX broadcasts in the United States. 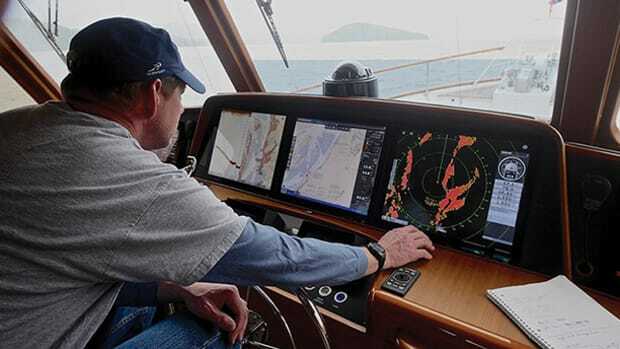 To receive these forecasts when you&apos;re cruising you must have a dedicated weatherfax, NAVTEX receiver, or a software program and a demodulator. An important point: Unlike satellite phones and satellite-based weather-gathering systems, once you have your SSB equipment, there are no fees or costs to receive forecasts. Your SSB can make or receive phone calls from anywhere in the world. To avoid giving your credit-card information over the air, set up an account in advance. ShipCom is the provider in the United States. Its facilities in Alabama cover the Atlantic basin, and another one in Seattle covers the Pacific. You can also get indirect access to the Internet through specialized providers if you have a modem and an SSB. Marine SSB e-mail providers that charge an annual fee include the SailMail Association and Xnet Yachting Association. Membership costs range from $250 to $340 per year. ShipCom also has an excellent marine SSB e-mail service, for which you pay by the byte. Winlink provides free e-mail for General Class-licensed ham operators. Note that if you need to conduct business by radio e-mail, you must use one of the marine SSB e-mail providers. In addition to e-mail, you can request and receive all sorts of weather products, including GRIB (Gridded Binary) weather files, computerized forecasts showing surface pressure, wind, wind direction, precipitation, and a host of other parameters that are animated over a chart for a one- to seven-day period. 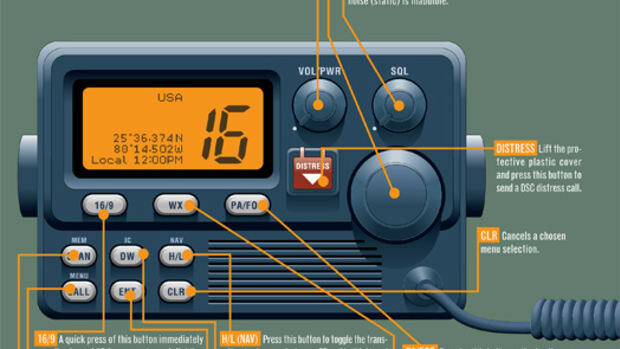 Unlike VHF, you need a license to operate an SSB—two, actually. The Ship Station license allows you to carry the SSB on your boat, while the Restricted Radio Operator permit allows you to use the equipment. No tests are involved. U.S.-flagged vessels pay $160 for the Ship Station license (valid for ten years) and $85 for the Restricted Radio Operator permit (valid for your lifetime). These licenses are available from the FCC at http://wireless.fcc.gov/uls/index.htm?job=home. Having an SSB onboard also allows you to tune in to AM and FM bands and shortwave radio stations around the world to get news, sports, and music free of charge. Although you do need to study for your General Class Amateur license, if your cruising plans take you beyond the horizon, having a marine SSB and a radio e-mail system onboard will give you a reliable and economical communication option when you&apos;re out of sight of land. Marti Brown has a 100-ton Master&apos;s license and lives aboard her 31-foot Allmand sloop, The Other Woman. She is also an advanced registered nurse practitioner and the author of two books on marine communications. 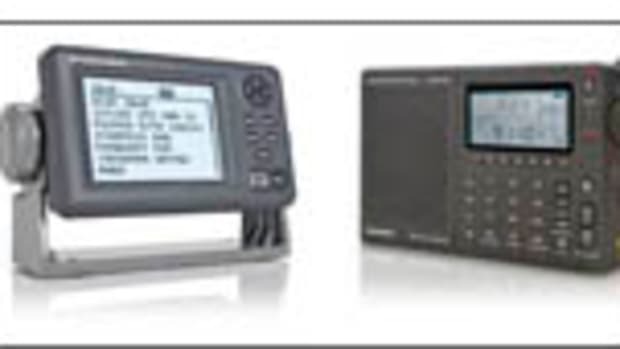 Commercial ships monitor both VHF and SSB DSC frequencies. VHF DSC uses digital channel 70; SSB DSC uses digital frequencies on 2, 4, 6, 8, 12, and 16 MHz. To fully activate DSC functions on your radio, you must connect your GPS to your radio(s) and then input the nine-digit Maritime Mobile Service Identity (MMSI) number. 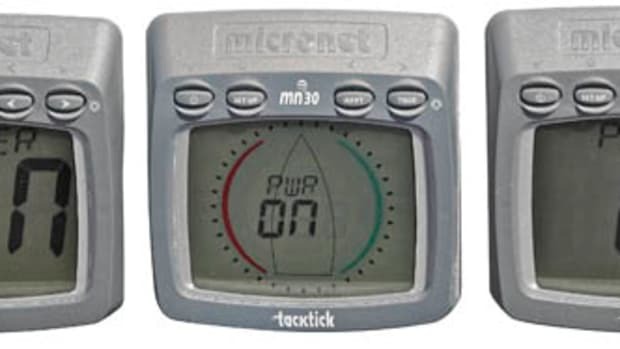 Pushing the red DSC button sends out a digital SSB Mayday transmission on a 2-MHz default frequency that includes your boat&apos;s MMSI, your latitude and longitude, and the time of transmission. It also activates an alarm on all radios within range. The receiving operator must push a key to silence the alarm, which sends an acknowledgement back to the sender&apos;s radio. To test your SSB&apos;s DSC function, send a test transmission to a Coast Guard station&apos;s MMSI number. Test calls are limited to one a week. If you have only a DSC-capable VHF and will be cruising domestically, you can get a free MMSI number from BoatUS or SeaTow. If you&apos;re going to foreign ports (including Canada and the Bahamas) and/or have an SSB, you&apos;ll need both a Ship Station License and a Restricted Radio Operator permit. When you apply for the Ship Station license, request an MMSI number. If you already have a "free" number (and are installing an SSB), go to the issuing organization&apos;s Web site and cancel that number. Then enter the Ship Station MMSI number into your radio(s). If you have a Ship Station license but do not have an MMSI, you can amend that license at http://wireless.fcc.gov/uls for a $60 fee. Caution: At this time VHF and SSB radios with DSC let you make just two changes to an MMSI. If you want to change it a third time, you must send it to an authorized dealer and have the unit reset.—M.B.